The World Islands, a chain of artificial islands constructed in the shape of a world map, are located in the waters of the Persian Gulf, near the coast of Dubai. A part of this archipelago is called the Heart of Europe which represents Great Britain and belongs to Richard Branson. 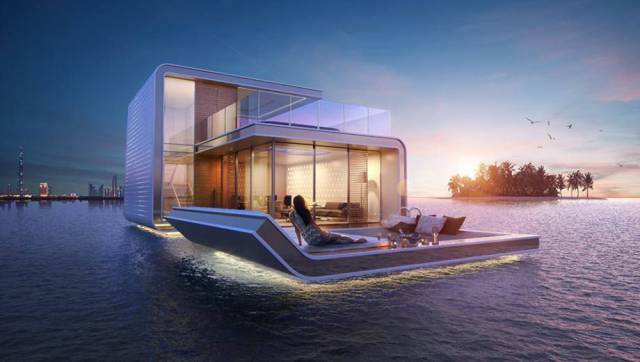 Soon, the Heart of Europe will have its first floating home named "Floating Seahorse." 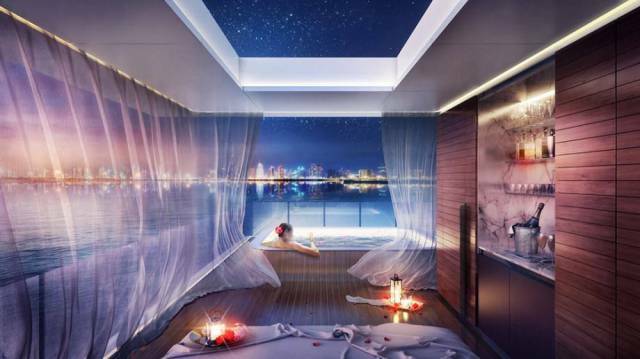 What special about it is the fact that it will have an underwater room. A lot of these luxury pods are planned to be built afterwards. It took over 200 designers and architects from all over the world and more than 5,000 hours of research and 13,000 hours of design and engineering to make this $2.8 million fantasy real. 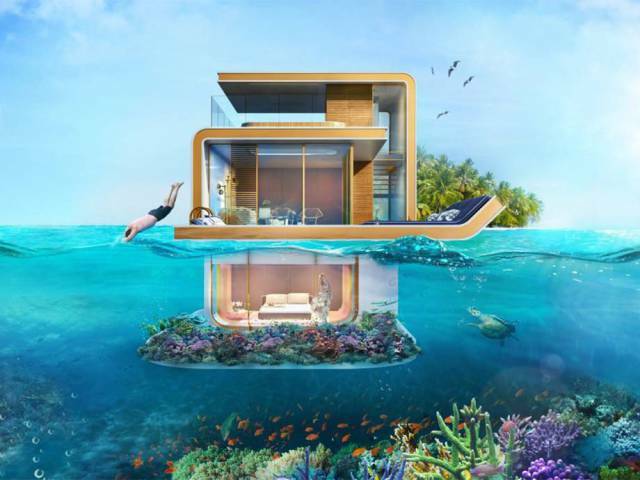 The underwater part will be composed of a master bedroom and bathroom and will be about 270 square feet (25 m2). 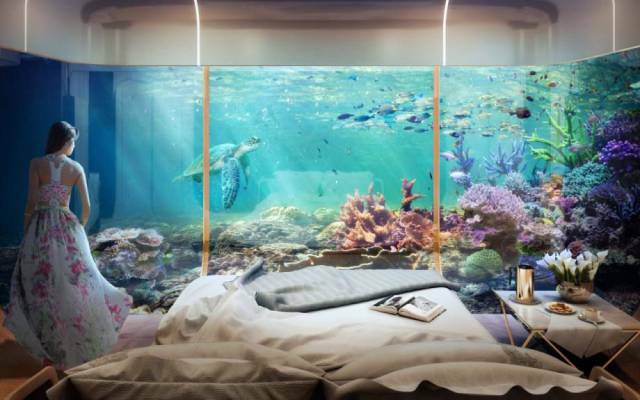 Outside the walls, people will have an amazing view on a 500-square-foot (46 m2) coral garden. The company's intention is to set a new standard of living lavishly. 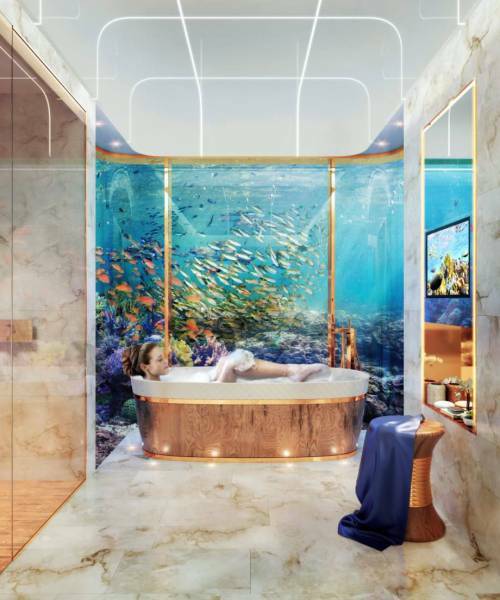 They also hope to restore a natural habitat of seahorses, an artificial coral reef beneath the luxury homes which will be a protected area. 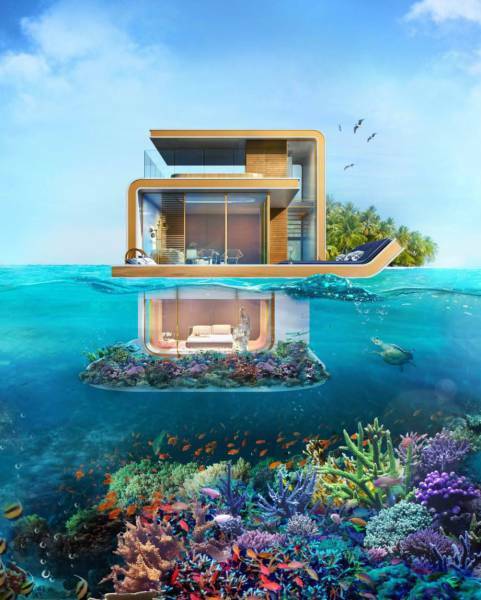 Residents will be able to see seahorses and other marine life float through the Arabian Gulf. 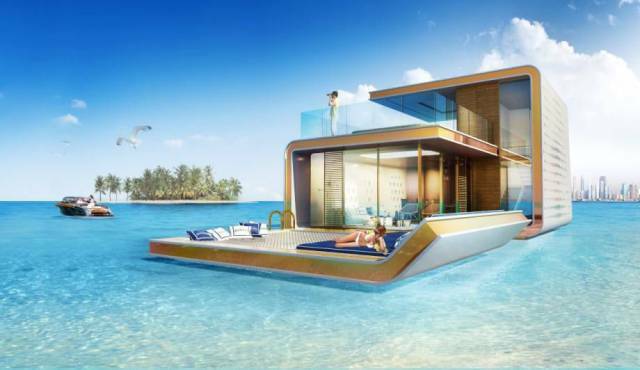 The firm plans on launching the first 'Floating Seahorse' in a few days and completing its first phase of rollouts by October of 2016.